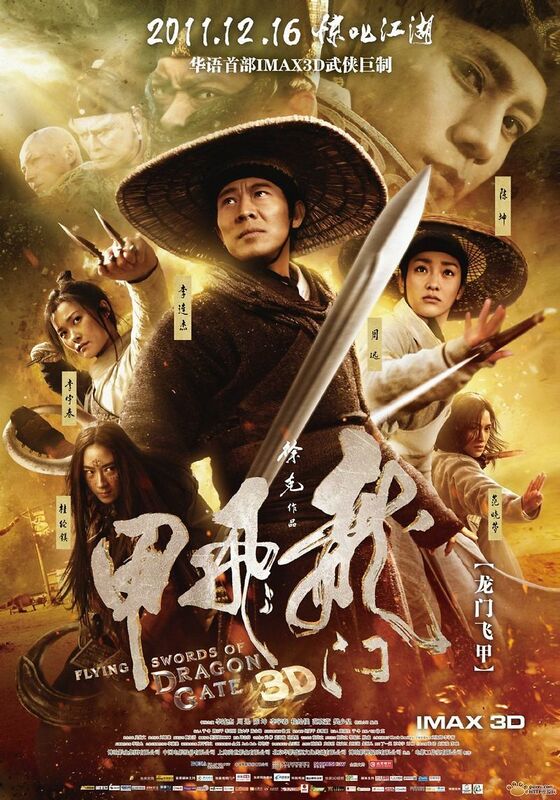 The Flying Swords of Dragon Gate DVD release date was set for October 2, 2012. The legendary Chinese tale of the Dragon Gate Inn gets another film installment. The previous innkeeper has disappeared, and the ancient Dragon Inn has been burned to the ground. A band of nefarious fortune hunters have erected a new inn amongst the ruins. They pose as the menial laborers of the inn by day, but by night they concentrate their efforts on locating an ancient city that is said to be buried in the desert. Legend tells of an immense treasure hidden deep within the city.